Increase the power of your HP Z840 Workstation or Z840 (ENERGY STAR) Workstation with a second Xeon E5-2687W processor using the Xeon E5-2687W 3.1 GHz 10-Core Processor from HP. This processor features a base frequency of 3.1 GHz and includes features such as Intel Turbo Boost 2.0, Hyper-Threading, and vPro. With Intel Turbo Boost 2.0 technology, the maximum clock rate this processor can achieve is 3.5 GHz. Additionally, this processor features ten cores with twenty threads in a FCLGA2011 socket and has 25MB of Intel Smart Cache memory. Having ten cores allows the processor to run multiple programs simultaneously without slowing down the system, while the twenty threads allow applications to complete tasks sooner by working in parallel. 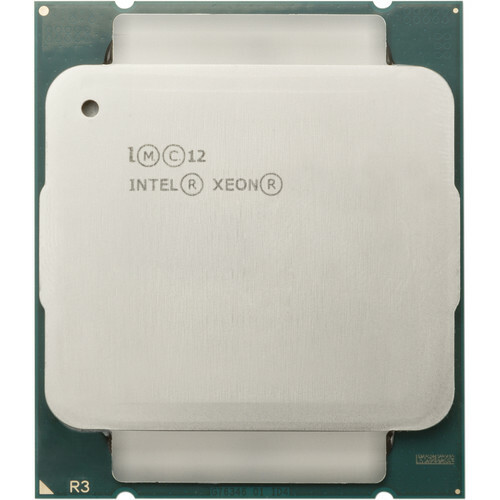 This Xeon E5-2687W 3.1 GHz 10-Core processor has been designed for professionals who work in demanding workflows and require strong performance, reliability, and resources. It is well suited for tasks such as designing digital content, working with CAD models, analyzing manufacturing processes, or running other performance-intensive applications, such as video or photo editing. This processor also supports up to 768GB of DDR4-1600/1866/2133 MHz RAM and is also equipped with AVX Extensions and AES New Instructions. Please note that when adding a second processor to your existing system, it must be identical to the processor that is currently installed. Included with this processor are a heatsink and a fan.